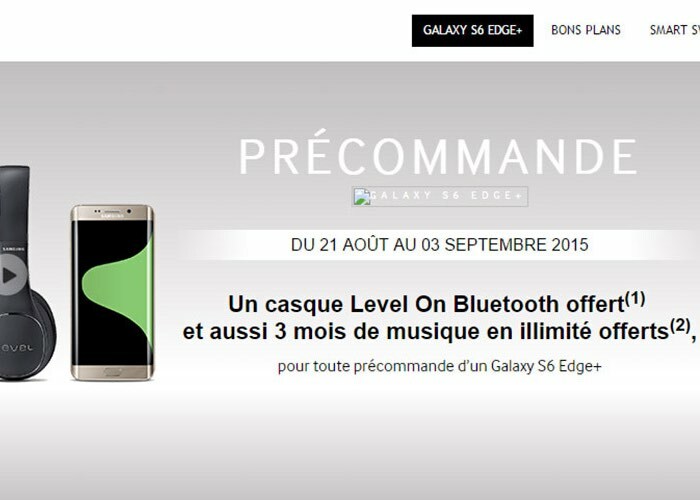 A leaked advert that was mistakenly published to the French Samsung website has revealed that preorders for the highly anticipated Galaxy S6 Edge+ smartphone may start on August 21st 2015. Although the new pre-order date may apply to the bundle which includes a Galaxy S6 Edge+ smart phone and headset. Samsung was very quick to remove the advert from the French website, indicating that the dates may be a little more important. The advertising on the Samsung French site was spotted by the Galaxyclub.nl website end reveals that preorders will be taken between August 21st and September 4th, 2015. To recap the Galaxy S6 Edge+ is rumoured to be equipped with a 5.7 inch Quad HD display and a Samsung Exynos 7420 processor, the device is also rumoured to come with 4GB of RAM. Although we will not have long to wait as Samsung is expected to unveil full specifications for the new smartphone devices on August 13th during the Samsung Unpacked taking place later this week.